According to a new study published in the journal Nature, doctors could one day detect pancreatic cancer in its early stages with one drop of blood. International researchers were able to diagnose 100% of patients that had late stages of pancreatic cancer by looking for protein in the blood that is made by tumor cells. The protein shows up in small virus-sized particles called exosomes. The key is the protein only turns up in exosomes when cancer is present. Dr. Raghu Kalluri, the study’s senior researcher and chairman of the department of cancer and Biology at M.D. 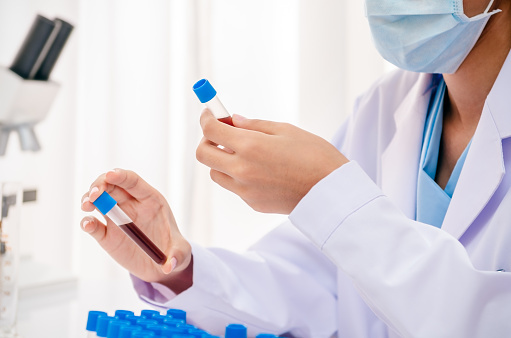 Anderson Cancer Center in Houston, examined serum samples from 190 patients who had pancreatic cancer, 32 patients who had breast cancer and 100 healthy people. Kalluri and his fellow researchers discovered that higher levels of protein found in the exosomes corresponded with how severe the disease was. Those who did not have any traces of cancer had no traces of exosomes. Although this could be a remarkable early detector for the disease, researchers concluded that more research is needed. The National Cancer Institute reports that this year alone, nearly 49,000 Americans will be diagnosed with pancreatic cancer and an estimated 40,000 will die from the disease. It’s considered the most deadly form of cancer with the survival rate rounding out to 7.2%.